Most Contract for Deeds can be used for a variety of reasons, their most common use is as a form of short-term seller financing. Most of the time the full amount of the purchase price is due will be years sooner than when the purchase price would be paid in full according to the amortization schedule. This results in the final payment being a large balloon payment. Since the amount of the final payment is so large, the buyer may obtain a conventional mortgage loan FHA loan-Va loan-MHFA loan-Rural Loan and more from a bank or lender to make the final payment. Contract for deeds’ are sometimes used by buyers who do not qualify for conventional mortgage loans offered by a traditional lending institution, for reasons of unestablished or poor credit or an insufficient down payment lack of time working at a job-tax liens-child support-creditors. Contract for deeds are also used when the seller is eager to sell and the buyer is not given enough time to arrange for conventional -FHA-VA-MHFA-Rural financing. There can be other advantages of using a contract for deed. When a third-party lender, such as a financial institution, provides a loan, this third party has its own interests to protect against the other two parties involved, the seller and buyer. Establishing the correct title and value of the property to be used as collateral is important to the lender. The lender commonly requires title service including title search and title insurance by an independent title company, appraisal and termite inspection of the property to ensure it has sufficient value, a land survey to ensure there are no encroachments, and use of lawyers to ensure the closing is done correctly. These third party lender requirements add to closing costs which the lender requires the seller and/or buyer to pay. If the seller is also the lender, these costs are usually not required by the seller and may result in closing cost savings and fewer complications. It may also be the seller’s position that if the buyer requires any of these services, he could pay for the costs and make arrangements himself. For properties where only relatively undeveloped land is involved and if the seller is willing to finance, the price of the empty land may be so low that the conventional closing costs are not worthwhile and can be an impediment to a quick, simple sale. Easy financing and a simple sale transaction may be a good selling point for a seller to offer a buyer. The contract for deed is a much faster and less costly transaction to execute than a traditional, purchase-money mortgage. In a typical contract for deed, there are no origination fees, formal applications, or high closing and settlement costs. Homebuyers may be attracted to a contract for deed purchase for several reasons. This method may be especially appealing to homebuyers who do not qualify for a mortgage, such as people who work cash jobs and are therefore unable to prove their ability to make payments. Since the contract for deed process is significantly shorter than the mortgage-approval process, it may attract buyers who face time constraints or have limited options, such as people who are losing their homes to foreclosure. First-time homebuyers who lack experience in the market or individuals who are wary of traditional financial organizations may also choose a contract for deed because of the relative simplicity of the buying process. The following advice from the Minnesota Legal Services Coalition stresses that both parties should make an effort to be fully informed. First and foremost, the seller must set forth the terms of the contract in a purchase agreement. It is important that both parties fully understand the provisions of the contract, because once the purchase agreement has been signed, the options available to both the seller and buyer are limited. The buyer should know whether he or she is responsible for property tax payments and insurance and whether the contract for deed includes a balloon payment. If it does include one, the buyer should be certain that he or she would be eligible for a mortgage to cover the payment when it comes due. The buyer should also make sure that the seller is the true owner of the house by checking with the county recorder’s office to see who is listed as the registered owner. If the seller still has a mortgage encumbering the property or is responsible for paying the taxes or insurance, the buyer should contact the seller’s mortgage company prior to signing the contract to determine whether the seller is current on his or her payments. Some “scam” sellers will retain a buyer’s payments and not apply them to the mortgage. If the seller defaults on the mortgage in this scenario and the home is foreclosed, the buyer will lose the house and all the paid installments. The buyer should ask the seller for a Truth in Sale of Housing report to determine the condition of the house. This report is required in Minneapolis and St. Paul and some other cities. 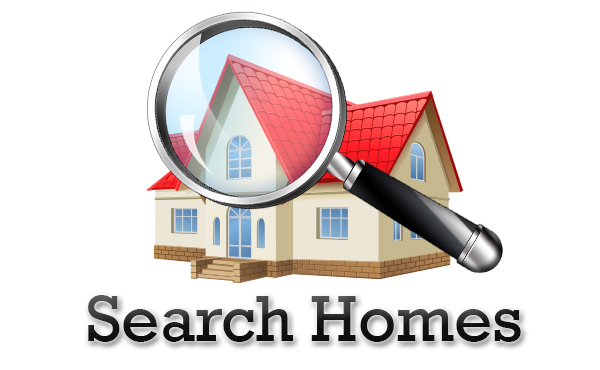 In cities where it is not required, the seller should find his or her own inspector to assess the condition of the home. A MN Contract for Deed is a unilateral contract and cannot be assigned to another buyer without the consent of the seller providing the financing. Make sure it states the buyer can sell or assign their interest in the contract for deed prior to recording it. 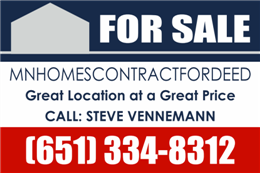 Can help you buy or a sell any type of property in Minnesota and Wisconsin using a land contract. There is alot to know when dealing with contract for deed financing Call us today. “CONTRACT US ABOUT PURCHASING ANY HOME IN MINNESOTA ON A CONTRACT FOR DEED GOOD OR BAD CREDIT THIS PROGRAM REQUIRES 20% DOWN OF THE SALE PRICE OF THE HOUSE TO DO. We have a lot of options to accomplish your dreams of owning a home.